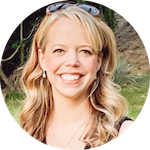 I'm a mom of a toddler who recently turned two, and I faced a dilemma many parents do…how to get my non-verbal son to just start to talk when other children his age were able to have full conversations. SpongeBob SquarePants recently received a pretty bad rap in the press, along with other shows that are fast-paced and more entertaining than educational. Our son watched “Bob Bob” constantly and he was a late talker, so I wondered if there was any truth to it. When I heard the “SpongeBob Report” (everyone from my mom to neighbors were alerting me to the “harm” I put my son in), I told my husband that our beloved show would no longer be watched in our home. But the truth is that Mr. SquarePants isn't to blame here. Why was I letting a two year old watch a show that was way beyond his understanding? If he needed more interactive entertainment, I was to blame for not providing it. I asked his pediatrician about his refusal to speak, and he said my son wasn't going to speak until he had a reason to. I speak to my son all the time, but apparently this isn't reason enough for him to talk, so I began the process of breaking my son of his SpongeBob fix and introducing him to more educational shows based on research and recommendations. I was very surprised by the results. Within a month of watching Blue's Clues daily, my son went from saying about ten words to speaking full sentences, responding to questions, and recognizing things we never taught him. Apparently he's a little sponge himself and quickly acquired a vocabulary of more then 60 words, which I directly attribute to this Nickelodeon show. The hosts of Blue's Clues speak directly to your children, ask them questions, wait for them to answer, and engage them while looking for clues or doing activities. It was quite a shock the first time my son replied to my thank you with You're “welk” or asked me Where did it go? when he couldn't find a puzzle piece. Weeks before, I could barely get my son to say Hi, and now we were having conversations. Blue's Clues also encourages my son in other ways. My son sings while the characters on the show do, imitates their gestures when they dance, tries to solve puzles, yells out A clue, a clue! when one of Blue's blue footprints marks a clue, and more. The various ways it has helped my son develop makes it one of my favorite shows for children. My son can now count to ten, and also recognizes numbers anywhere he sees them. I didn't teach him this. I figured a child who wouldn't say two words to me would find learning numbers too advanced. As a mom, however, I never give up, so I popped in LeapFrog: Numbers Ahoy and played it twice daily. 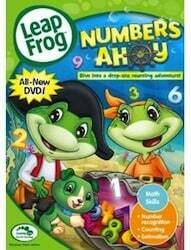 The music and characters in LeapFrog Numbers Ahoy engaged my son, and it was in less than a week that I realized my son was saying the numbers along with the show, at the same time they were being said on screen. This is important: he wasn't repeating the numbers, he was recognizing them as they appeared on screen, and waiting for the proper point in the song to shout them out along with the LeapFrog critters. 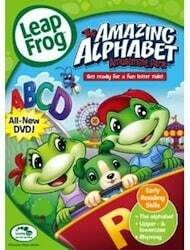 He also learned his ABC's from LeapFrog: The Amazing Alphabet Amusement Park DVD. He doesn't sing the ABC song, instead he learned to recognize each letter anywhere he sees them. This was our most recent discovery, and my now almost-26 month old son not only knows all his letters and recognizes them anywhere, but he knows every sound they each make. 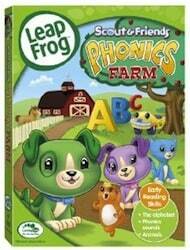 LeapFrog: Phonics Farm features LeapFrog animal characters learning about 26 unique creatures. Each creature is identified by the letter their name starts with, the sound the letters make, and adjectives as well (quiet quail, athletic alligator). My son is learning descriptive adjectives and understands the phonics associated with each letter. He's even learning vowels! The catchy songs makes this show his current favorite by request as well, because he sings along with all the songs and dances around while the animals do. 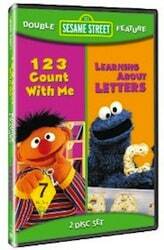 The old classic, Sesame Street, still has value, and my son loves Elmo and Mr. Noodle. Quite a bit of it is beyond his current understanding or interest level, so we only watch the parts he enjoys, especially counting and Bert & Ernie's claymation adventures! Since Sesame Street is a variety show with different skits in each episode for different age groups, this is a program that can also grow with him. As he continues to learn and understand more, I'm certain that one day he will also benefit from and enjoy other interesting tidbits, such as the sketches that explain the origins of things, professions and plenty of other topics. For now, we watch Mr. Noodle miming and Elmo hiding, and he has a blast. Repetition is key when it comes to early learning, so when my son watches a show he enjoys that also offers something educational, I play it over and over before moving on to the next one. The wonderful part is that now he wants to sit with me and point out letters in books, have me read to him, and asks me what things are; all of which increases his vocabulary! He never did this before, and while eventually all children do this, the speed of which he is learning once we changed what he watched is incredible. If you are going to let your children watch tv, you should be aware of what they are watching, and get the most value you can from the time spent in front of the television. Marybeth's note: I wholeheartedly echo Penelope's recommendation of the LeapFrog DVDs. I can't believe how much my kids learn from them! We've borrowed all of them from our local library, and I encourage you to do the same so you can sample the titles before buying them outright. You can also find all of these titles available for instant streaming on Netflix. 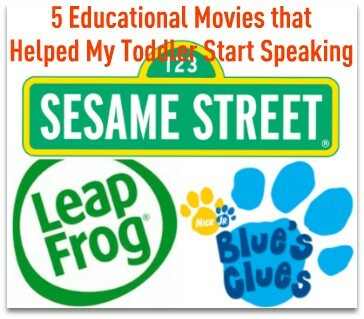 I'd love to know what other parents did to encourage nonverbal children to start speaking, or if you have great shows to recommend for children. 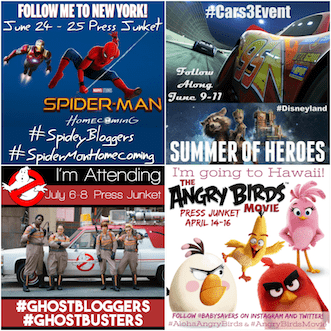 Hi MaryBeth, Thank you for letting me share what helped my son and allowing me to guest post on your fabulous site! I hope these dvds help other parents too.